Here we go, the 2014-15 season is getting underway! I figured I would take a turn getting the game thread going. 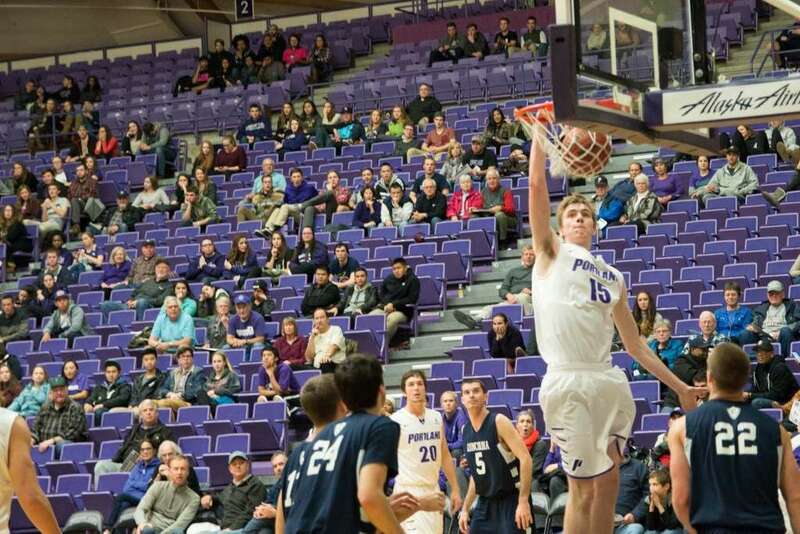 • The Pilots open the regular season at the Chiles Center on Friday, Nov. 14 versus Concordia (Ore.). 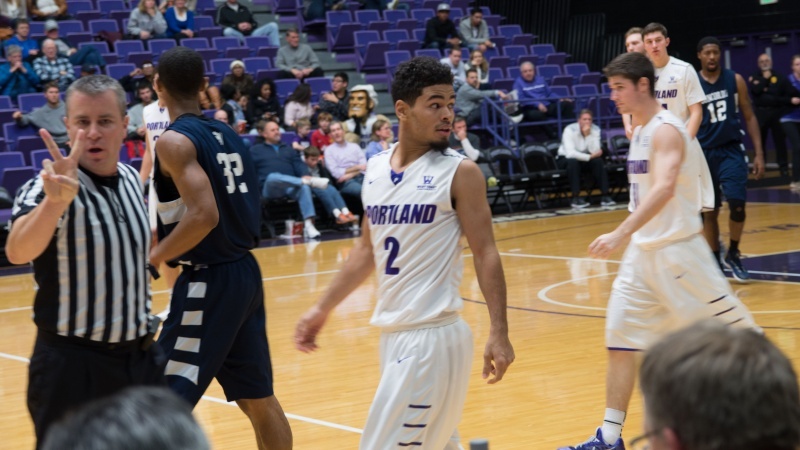 Tip-off is scheduled for 7 p.m.
• Portland will then make a quick road trip to San Jose State to face the Spartans on Sunday at 1 p.m.
• Single game tickets for Portland men’s basketball games start at $10 for adults and $5 for kids. • Season tickets, mini packs, and group packs are still available for the 2014-15 season. Click here ticket package options and pricing. 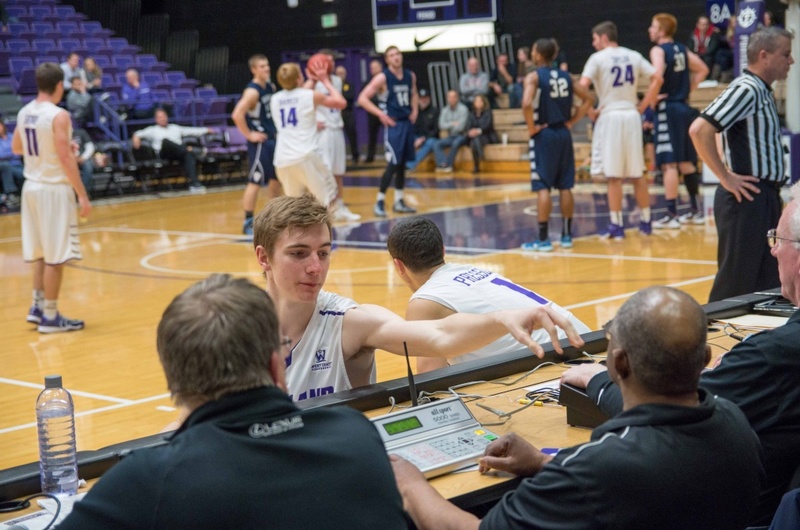 • All non-conference home games will have complete HD video coverage featuring multiple cameras, instant replay and graphics will be available at PortlandPilots.com. Sunday’s game at San Jose State will also have a free video stream available. • Pre-Game Pasta returns to the Chiles Center mezzanine for every home game this season. $8 provides all you can eat pasta, salad, desserts and snacks beginning one hour prior to tip-off. • The Pilot Club space on the south mezzanine will remain open from one hour prior to tip-off through the 12-minute mark of the second half for all games this season. Pilot Club members will have open access to the space and will receive one free beverage of choice per game. A Pilot Club Gameday Pass is available for $5 for non-Pilot Club members. The pass will include one free drink token that can be used for beer or soda on that date. The space will be open to all ages and have beverage service start-to-finish. Re-entry will be allowed throughout the game and snacks will be provided after tip-off. For more information, click here. • The Cavaliers will be concluding their final season as an NAIA school before transitioning to Division II next season. • Concordia is currently 3-0 on the season with wins over British Columbia (62-61), Multnomah (120-71) and at Alaska-Anchorage (79-74). • Six players are averaging double figures in the early going for the Cavaliers. • Head coach Brad Barbarick is in his 21st season with Concordia and posted a 22-10 overall record and 11-7 mark in CCC action last season. He lost leading scorer Adam Herman (24.5 ppg) to graduation. Anyhow.... back to the Cavaliers... lets welcome them back to the lower 48 with a thorough thrashing! I would like to see us really keep our foot on the gas and put teams away. We are going to need to do that this season!! Concordia's actually 5-0...had two wins over UAA and just had a home win on Tuesday over MSU Northern (based in Havre, Montana...hometown of former Pilots WBB assistant coach Lori Payne, how's that for a tie-in). Looks like Concordia's offence is named Tyler Velasquez. 5-11 guard from Colorado with twice as many shots as anyone else, though they've got three other starters averaging over 11 PPG as well. I'm excited to get the season officially underway. For those of us who haven't paid as much attention over the past few months, what is the expected rotation? Who has the potential to surprise us this year? !!! If you'll look at one of the 50 posts at "2014 Preseason" and other related threads, you'll probably find the answers to most of your questions. Forgive me for trying to stimulate conversation in an actual game thread on opening day of the regular season. I'll go read the month-old, multi-page, behemoth threads that seem to be the only place anyone wants to congregate these days. EDIT: DD, this probably came off stronger than it should have. I apologize for that. I missed you at the game on Saturday and hope I'll see you tonight! ShipstadPilot11 wrote: I'm excited to get the season officially underway. For those of us who haven't paid as much attention over the past few months, what is the expected rotation? Wintering, Pressley, Bailey, Gerun, van der Mars will start. Sharp, Barker first off the bench. 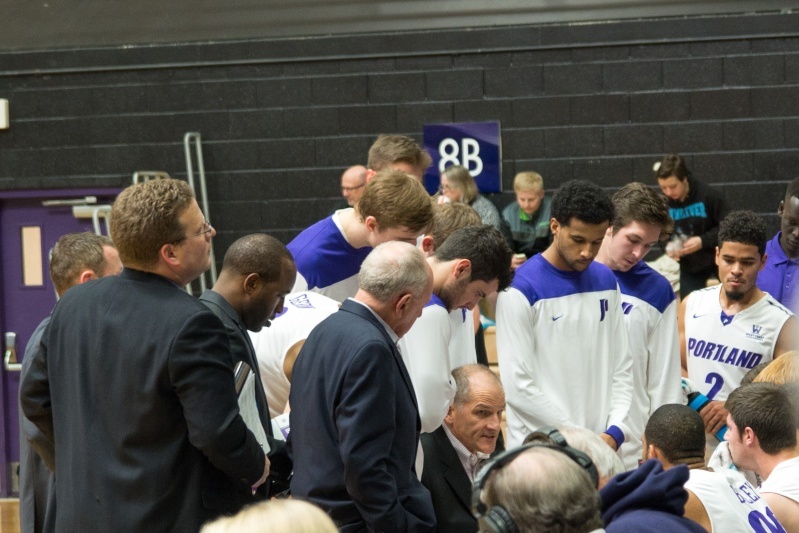 I guess it remains to be seen how the five newcomers and Aitor Z. will be used...hopefully you'll see all of them in the second half today as the Pilots coast to a big win, giving them some floor time and resting up for San Jose State on Sunday. ShipstadPilot11 wrote: Forgive me for trying to stimulate conversation in an actual game thread on opening day of the regular season. I'll go read the month-old, multi-page, behemoth threads that seem to be the only place anyone wants to congregate these days. And there's blacksheep playing the role of Kevin Harvick, shoving Jeff Gordon (ShipstadPilot11) into Brad Keselowski (DoubleDipper) to start a fight, and standing back to watch the fun. Could get exciting in the Pilot Club tonight! up7587 wrote: Could get exciting in the Pilot Club tonight! DD dines and lathers with the swells in the HOF room. Armed guards at the door. Dang! Harvicked by blacksheep....but I'd much rather be Gordon. Just taxiing into PDX after arriving from ORD and found out there's a rumble tonight in the Pilot Club....I'm in! No Mrs. DD tonight. Pilots should win, but I don't take anything for granted....everyone on PN, come out and support your team! I'll be there with chains and baseball bats. High school 1963 all over again. Too soon to start a new thread, but you can start planning your 2015 Thanksgiving now. 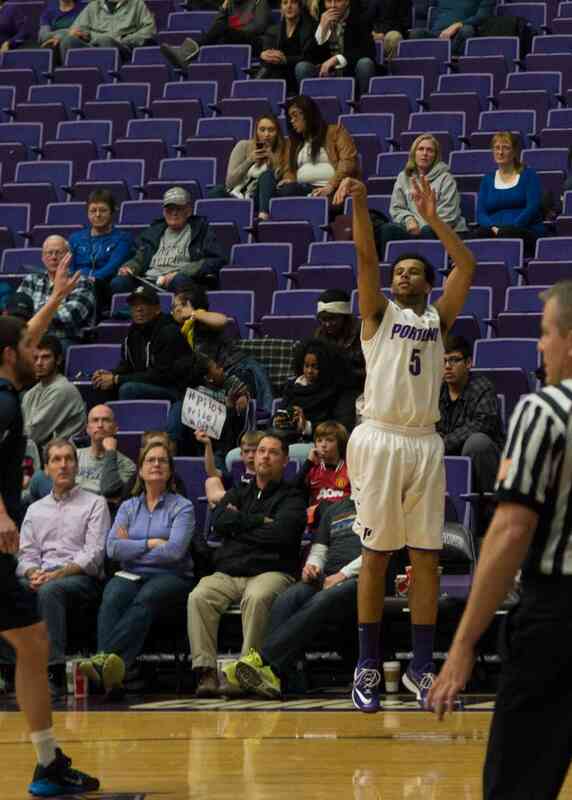 PilotNut mentioned the Great Alaska Shootout....Pilots MBB & WBB will be in the GAS next year! up7587 wrote: And there's blacksheep playing the role of Kevin Harvick, shoving Jeff Gordon (ShipstadPilot11) into Brad Keselowski (DoubleDipper) to start a fight, and standing back to watch the fun. Could get exciting in the Pilot Club tonight! Just like NASCAR, there was some pushing and shoving, but it wasn't much of a fight. Lots of talk though! Seems like a solid win, just checked a box score so will look forward to seeing some thoughts on here. WCC goes 8-1 today. Only blemish was a close six-point neutral-site loss by San Diego to Boise State. It was great to allow the new guys to play essentially the entire second half... giving them experience, and resting the starters for Sunday. It is hard to tell against CU, but the new guys all looked pretty good for this early on. The freshmen got some playing time. And oh yeah, I got a new camera lens today so I took it to play around with. Got a few good shots, but still learning the lens. Wish that dunk was in focus a little better. And the refs called a whole lot of fouls, including this one on Alec. A whole lot of fouls... both teams were in the double bonus with over 8 minutes to go. Well, the bench is certainly deeper than it's been in awhile...tonight everyone played, and the only one not to score was the "shooter," Bobby Sharp....a streaky shooter who's in a slump. A good first game, and as noted, the guys should all have fresh legs for the quick turnaround to San Jose St. as only Bryce (24) and Kevin (22) played more than 20 minutes. Most impressed by Voldy, Kevin and Bryce. Even though Bryce's numbers may not be as good as others (4 turnovers), he was everywhere on the court helping his teammates and disrupting CU. Best newcomer is no surprise after watching him in practice....Gabe Taylor. Thomas nearly had a double double (9 boards/10 points), but I still think he's being out hustled for loose balls and is not blocking out like he's capable. He is one of the hardest working guys on the court and along with Alec, is the team Captain....just seemed a little tentative in the early going tonight. I know Xubi can play, but so far he's not giving us a lot of confidence in his ball handling....I think he's just one of those players who needs to get a lot more time on the court to get his game together. Coach Brown almost seems like his personal coach at time, and I'm sure it will payoff eventually. Overall assessment....a very good effort all around, but face it, the competiton was suspect. 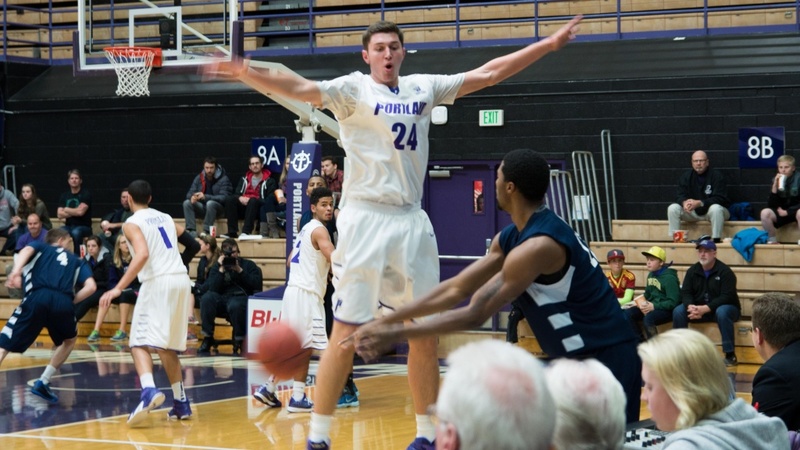 It will be interesting to see how well the Pilots defend against the 3-pointer against the Spartans on Sunday afternoon. Rashad Muhammad could probably put up over 30 points from behind the arc if he's not guarded closely....and even that might not be enough to stop him. PilotNut wrote: I figured I would take a turn getting the game thread going. You might as well keep it going for tomorrow's SJ State game...get hot, stay hot! I will tell you what I was most impressed with, the new portal for streaming the games. I really wish the quality was like this the past 4 years but chalk it up to progress. I watched the game on my Ipad and it was just like watching it on TV. No buffering and they even had two announcers calling the game. It really was a nice video. pilotdad1 wrote: I will tell you what I was most impressed with, the new portal for streaming the games. I really wish the quality was like this the past 4 years but chalk it up to progress. I watched the game on my Ipad and it was just like watching it on TV. No buffering and they even had two announcers calling the game. It really was a nice video. Production quality is definitely up! But I'd rather hear Bill Johnson's call on the video. He's the voice of the Pilots!